The Write Conversation: Social Media Monday—Can I Have Multiple Facebook Accounts Under Different Emails? In every instance, I’ve seen the reassurance that you can always open up another personal profile under a different email. That little comment is one of the quickest ways to get permanently banned from Facebook. But before we get into the details, let’s make sure we all know the difference between a Facebook Personal Profile and a Facebook Page. 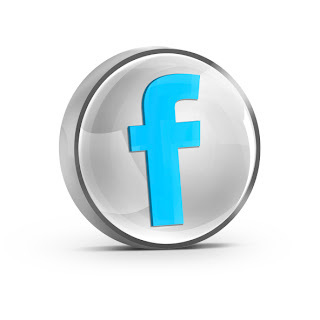 A Personal Profile is what you open when you register for a Facebook account to begin with. You open a personal profile with your name and email account. That email is how Facebook keeps track of all you’re doing on the site. When you create a page, or start a group, you still use the same account, with the SAME email address. This personal profile is the place you’ll interact with friends and family. When you visit other people on Facebook you can tell you’re on a personal profile because you’ll see a clickable button that says, FRIEND REQUEST. This is called friending someone. 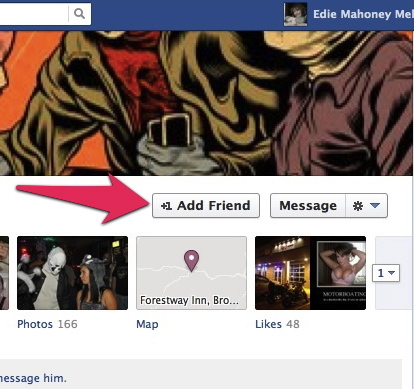 The screenshot below shows the FRIEND REQUEST button. 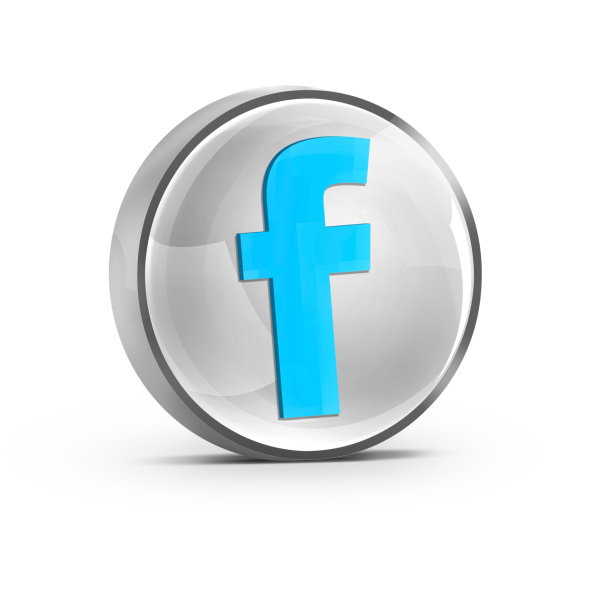 A Facebook Page is called by many different names: Business Page, Fan Page, Author Page, Professional Page. It doesn’t matter what you call it, it’s all the same thing. To open or create a page, you MUST have a personal profile. After you create a page, you can add other administrators to the page, but they must all have a personal profile. Facebook developed the Page option for businesses and organizations to interact with supports and customers. If you visit a Page, you won’t have the option of sending a FRIEND REQUEST. Instead, you have the option of clicking the LIKE button. This is called Liking a page. The Screenshot below shows the LIKE button. This is a third option you’ve probably run into on Facebook. Not only can you open a personal profile, or create a page, but you can also start a Group. When you start a group, you select the type of settings you want. You can have a group everyone on Facebook can see, or you can have a secret group that no one can see except members, or you can have a group people can find, but can’t see the posts. I’ll devote an entire post just to Facebook Groups in the near future. But there’s not nearly as much confusion about groups as there is about profiles and pages. Let me say this again…. Facebook does NOT allow one person to have multiple accounts under multiple emails. Having multiple accounts does not refer to having several pages and/or groups. It refers to owning two or more Facebook accounts under two or more emails. If Facebook discovers you have two or more accounts under different email addresses, you’ll be asked to close one. If you don’t, they have the option of banning you from Facebook. Here is the link to the Facebook information about this: Multiple Facebook Accounts. Should I Convert My Personal Profile to a Page? There is NOT a legal option of opening another personal profile under a different email account. Now it’s your turn. What have you heard about this and what questions do you have? So glad you did a post on this. I was not thinking when I did another profile. However, I did change that one into a business page and merged the two (business pages) according to what the site said I was able to do. I do need to go back and delete the other email. Thanks again for posting. I'm so glad you brought up Facebook. 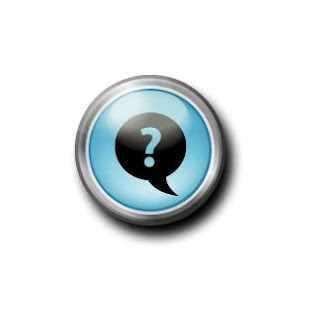 I've been wondering, when and why should writers consider having both a personal profile and an author "page."? Is it hard to keep up with two "pages" in Facebook? Perhaps you can address this in a future post. Thanks Edie! Thanks for the information, Edie. You've summed it up and put it into language I can understand. And that's quite a feat! Timely post, Edie. Creating a fan page is on my To Do List this week. Thanks for the clear information. How established of a writer do you need to be to create a fan page? I HAVE JUST FOUND AN IMPOSTOR ACCOUNT WHICH HAS BEEN SET UP 3 WEEKS AGO BY THEIR OWN ADMISSION IN OUR BUSINESS NAME. MY WEB DESIGNER WANTS TO MAKE A BUSINESS PAGE WITH THE LINK TO OUR WEBSITE. WE HAVE BEEN AROUND FOR 3 YRS ON FACEBOOK. IS IT ILLEGAL TO HAVE TWO FACEBOOK PAGES WITH THE SAME NAME PLEASE. IMPOSTOR RELUCTANT TO CLOSE DOWN AS THEY SAY THEY HAVE 400 LIKES AND WE ARE NOT UP ON FACEBOOK WITH OUR NAME AS YET. IS THERE ANY WAY TO GET FACEBOOK ATTENTION TO BLOCK/CLOSE THIS ACCOUNT FOR ME PLEASE. I AM CONCERNED AS FEEL OUR BUSINESS IDENTITY HAS BEEN COMPROMISED. I TRIED TO CONTACT FACEBOOK USING BLOCK/REPORT FEATURE BUT THIS DOES NOT WORK. I AM NOT SURE IF IT IS BECAUSE OF THIS IMPOSTOR ACCOUNT. MANY THANKS FOR YOUR HELPFUL REPLY TO MY QUERIES. Yvonne, I'm not sure what you mean by 'impostor' account. If they have a Facebook page with the EXACT name as yours it is a problem. But when I looked on Facebook, I only found one Sparkles Emporium. I did find another Sparkles, that has a different Facebook name - The All that Sparkles Glitter Corporation and Emporium. thank you for your helpful reply to my mail. I have written to you as requested. have written to as requested today. Thank you for the great information. Just curious as to how FaceBook would know that someone has two accounts under two e-mails? They know because you might have the same IP or be posting a lot of the same things. This personal page versus fan page stuff becomes important...because they can't do the same things. Pages can't create events (as far as I've found). You can't "friend" people you can only "like" other people...so that limits you with certain other pages. The functionality isn't exactly the same. People do have pages taken down. It happens. This can be bad if you have put a lot of work into it. I know of one instance where they just took it down...no warning...no chance to choose. Facebook doesn't really answer customer service inquiries, so it is best to avoid a problem. Thanks for the info. Even though I know the difference between Facebook groups, profiles, pages, etc., it makes a difference when it is organized the way you did it. I was thinking about this extensively over the past month. I have an existing page that I've had since 2006, with tons of real friends. The problem is that I work two seasonal (and very public) jobs. For part of the year (7 months), I'm involved in Canada's reforestation industry and I run Canada's main reforestation website. For the other part (5 months) I work on music production and DJ'ing. I have already set up a fan page for both "sides" of my life/personality. But it would be very good if I could run two personal accounts, and move all the DJ/music friends and acquaintances into a single account. Right now, if I post reforestation-related comments/posts, it is of no interest to my music-oriented friends from around the world. And if I post news/editorials/comments about music and production, it is of no interest to my reforestation friends. I wish that I could have two separate personalities and just keep them semi-firewalled by not accepting friend requests into both accounts, so each account is essentially a unique individual identity. In my case, each account would be real, and far less confusing for friends. I'd considered trying to spend a lot of time organizing everyone into specific categories and customizing visibility of posts, which would solve most of the problem. But the issue remains that if someone else posts on my wall, I don't get to control which of the two subsets of friends sees the content. Excellent example/scenario. I'm very interested in what Eddie (and others) have to say about this. Excellent example/scenario. I'm very interested to know what Eddie (and others) have to say about this. I have exactly the same scenario, except I'm in IT. I can't really use facebook fan page to participate in professional groups, so if you find a solution please let me know. I'm also experiencing similar situations. It's just that in my case I need the multi-account for general-audience purposes and hobby-related purposes. This is because at college I'm mostly a rather serious person (both at nature and academically), yet I'm actually an active hobbyist and I also fangirl at so many things I like. Hobbyist as in, I do Japanese/Vocaloid cover songs, draw things, cosplays a bit, and do cosplay photography a lot. I very much doubt that my older relatives would find any interest in that, and at MOST, I don't want my lecturers at college to find works I posted on their newsfeed either. So I do, really need the multi account. I have the same need !! Any updates on this I wonder ? You can have multiple FB PAGES, all under the same email addy. You just can't have multiple personal profiles under different email addresses. Opening a new page is a great way to reach different audiences without annoying anyone. You can have as many different pages as you wish with no penalty. I've only just managed to get back into my original Facebook account after being locked out because I forgot my password too many times. I found I couldn't use any of the other methods offered to sign in either. I tried requesting codes to be sent to my Hotmail account (which was registered together with another one I use regularly) but they never arrived. I then tried logging in with my Windows Live account but, although a popup window appeared it was blank. Then it refused to acknowledge the answer to my security question! I hadn't registered a phone number or any "trusted friends" so that method was out too. So in desperation I set up a second account with my GMail email account. THAT actually worked! I tested it with a password reset code request and it arrived with no problem whatever! After several days of hunting around on the internet to find how to contact Facebook admin (Facebook don't make it easy to send messages to them and the FAQs don't help because they - like so many others - don't cover my situation) I found a blog that gave various links to the different aspects of Facebook that they don't advertise! I've sent messages to them to tell them what's happened and today something must have been done because I actually managed to sign into my original account! The Hotmail sign-in popup wasn't blank any more so I'm now in that way! So far Facebook haven't contact me, but it's early days yet and it's also the holiday season. Once I find whether I can continue with my original account, I can sign in from both my PC and laptop and it's not just a temporary phase, I'll happily deactivate my second account. I am in limbo with password reset as well. The recover/initiate link simply times out with a message about having a problem. Would you mind hinting how to find the blog where you found this back door information? You don't have to post it publicly... use donday (at) learningbywrote (dot) com. Now that Facebook's algorithms have rendered Fan Pages useless (unless you advertise, only the tiniest fraction of "likes" see posts, are there any other strategies? Can you have two accounts one from your country that you live in and one that your planning on moving to? Like i'm in the U.S. and wanting to live in Germany and you need more time to learn how to spell and speak their language. thanks. Wondered if there were any developments on this front. I feel as if I need multiple accounts as I have my Personal Profile with 'Real' friends and family, on which I'm fairly inactive. However, I also feel as if I need another page to take care of a Business requirement (Holiday Let in Orlando) on which I'd like to join Orlando Vacation FB Groups etc. I think I am likely to be fairly active on these forums but don't want my family / friends to see everything I am posting necessarily. Any solution other than multiple accounts - I have to confess I'm reasonably new to this and didn't particularly understand the difference between FB Personal Profiles and Fan Pages until I read the article above. Thanks, alan. Thanks, you saved me from making a very big mistake. I will be creating a FB page now instead of a new account. Peace! Can you comment on blocking a FB page. When I am on a FB page I've Liked, I notice on the far right a drop down menu that includes some options including 'Block Page'. If I were to select this option what is the result for a) me the viewer and/or Liker and, b) the FB page? Any information you have is appreciated. But what if you have two different businesses that you manage pages for and you open accounts with the company email address that you are given because you don't have a personal FB page. I can't open a page for a different business under the profile that I have with the other business email. Should I just create a personal FB page and then add myself as administrators of that page?